Good News For The Indian Solar Industry! The Indian government has exempted imported solar panels from customs duty, bringing huge relief to solar project developers in India. Solar panels had been earlier classified as electrical motors and generators which would have attracted 7.5% customs duty. Since 90% of solar panels used in India are imported from China, Malaysia, and Taiwan, a duty imposition would have adversely affected the pace of solar development in India. The Indian Solar Manufacturers Association is working to get 70% safeguard duties imposed on imported solar panels to protect domestic manufacturing. Given the fact that imported solar panels are cheap and of reasonably good quality, imported solar panels found a huge market in India, which compelled the Indian manufacturers to take this step. But a duty imposition will significantly increase cost for solar developers. The government of India wants to strongly support its “Make in India” policy to protect the domestic manufacturers who are facing existential issues due to massive imports of cheap panels. The price of solar is falling and the government is of the view that the industry would have flourished without any support in the form of subsidies or import duty exemptions. Hence, there was a strong likelihood that customs duties would be permanently imposed on panels. But the government took the right decision for the development of solar in India currently. 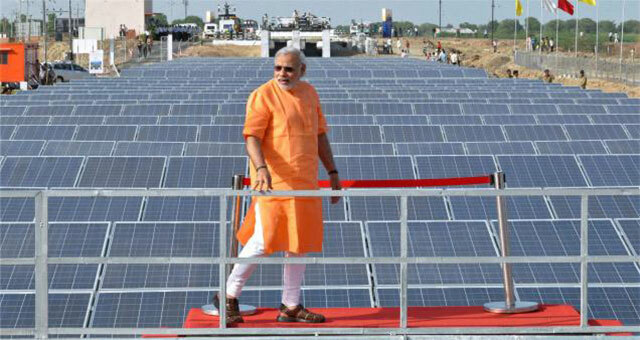 Tariff of solar projects is rapidly falling in India. Since most solar projects are bid and developed based on wafer-thin margins, it was imperative for the Indian government to make the decision for fast solar development in India. In my opinion, tariff imposition should wait a couple of more years, till the country develops its own competitive manufacturing and technical know-how that could defeat cheap imported Chinese solar panels. India has achieved one-fifth of its solar target in FY 2017 but still has a long way to go. Support in the form of duty exemptions is still needed for uninterrupted growth. Note MNRE has already exempted all custom and excise duties on materials used in solar rooftop projects to encourage rooftop solar development in India.